Trekking in Udaipur is a wonderful experience as it is surrounded by the beautiful Aravali Mountain Range. It has so much to offer for an adventure lover, here you will find easy, moderate & tough treks. There are so many lakes and small villages in and around Udaipur that allows you to relish nature's beauty and interact with the friendly villagers. 7:30 A.M. : Arrive at the beginning point - Amba Mata i.e. only 20 minutes away from the city center. 7:45 A.M. : Start hiking with Rajasthan Trekking Guide. We reach the first village in about half an hour where we have an interactive session with a few villagers & also visit their homes to see the lifestyle. We will see the villager’s doing daily chores & their cattle grazing in the fields around the village... We shall now continue our trek towards next tribal village, The Trek will be a mix of small hilly Terrain & Uphill climbs... on these treks, we will pass through various small villages and hamlets where we shall come across The Bhil Tribe (one of the oldest indigenous tribes) and a few other natives such as The old Warrior clan of The Rajputs who are mostly farmers now. 12:30 P.M. : We arrive at finishing point... This place is a religious spot for the people around. There are a couple of temples here. One of them is dedicated to Lord Shiva and The other to The Mother Godess... from here one can get a panoramic view of the countryside. 1:15 P.M. : Drive back to Amba Mata. 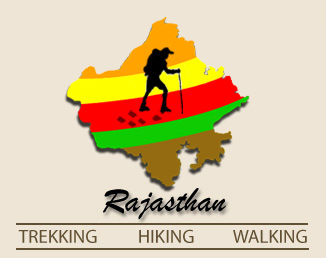 7:45 A.M. : Start hiking with Rajasthan Trekking Guide. We Hike towards the first village where We have an interactive session with a few villagers & also visit their homes to see the lifestyle. Later, via another tribal village, we walk through a blend of a little rugged terrain and hills with beautiful and scenic agricultural fields. 10:30 A.M. : we arrive at The Badi Lake. This lake in the village of Badi built at a cost of Rs. 688,000 (Lakh 6,88,000) by Maharana Raj Singh I (1652-1680) to counteract the devastating effects of a famine. He named it Jiyan Sagar after his mother Jana Devi. The lake covers an area of 155 sq. km., and has an embankment 180 m. long and 18 m. wide, which is graced by three artistic chhatris (kiosks or pavilions). 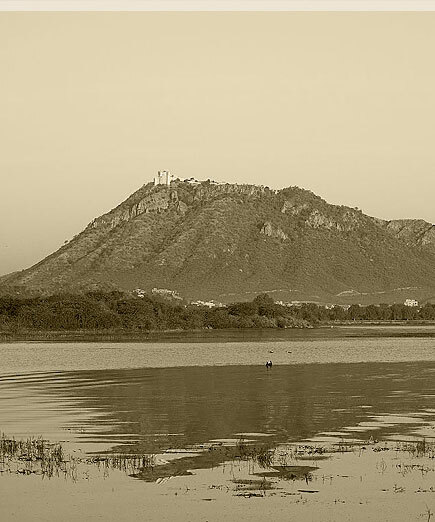 During the drought of 1973, the lake supplied water to the people of Udaipur. Not many foreign tourists access this beautiful site of Udaipur as it is out of the way of regular tourist routes. This where we will put down our anchors for Lunch. Post Lunch, Drive back to Amba Mata. 8. Porter and local guide. 9. All Government Taxes included. 1. Any type of stay. 2. Any type of air fare. 3. Tips for guide and porter. 4. Any meal other than those specified in including cost. 5. Any other item not specified in cost included item.